Keep those Benjamins and Grants in your wallet instead of handing them over to the utility company. During the month of May, you probably experience more than a few temperature swings, which means your heating and even cooling appliances are on again and off again, sometimes in the same week. Just last year, Accuweather says that Massachusetts statewide average temperatures fluctuated as much as 30 degrees for the daytime highs in a 7-day period. The average Massachusetts resident uses about 109 million BTUs of energy every year. That’s 22 percent higher than the average American home, so finding ways to conserve can also help save a considerable amount of money. Here are 5 tips to help meet that goal. Programmable thermostats automatically adjust indoor temperatures based on settings that you choose. Many homeowners prefer a warmer home during the day and a cooler home at night, which the National Sleep Foundation says falls between 60 and 67 degrees. Smart thermostats take the idea of climate control one step further. You designate temperature settings initially. But over time, the thermostat learns your family’s habits and programs itself to increase and decrease the temperature at different key times of day, such as when you’re at work or just waking up in the morning, for optimum savings. Believe it or not, plumbers can help you save energy. Not only can a reputable plumber install a high-efficiency water heater that reduces your energy consumption for household hot water, he can help the heater perform better by repairing water supply leaks. A leaky faucet at the kitchen sink or in the bathroom can draw hot water from the tank continually. That causes the heater to cycle on more than it should. Get drips and trickles repaired, and your hot water will stay in the tank until you need it instead of going down the drain. Get the right insulation depth for your home and warm air will stay put. Living in Massachusetts means that you likely have insulation in the attic and maybe the walls, too. But inadequate insulation lets heat escape your home, which puts a heavier load on your furnace or boiler. It can also make your floors bone-chilling cold. 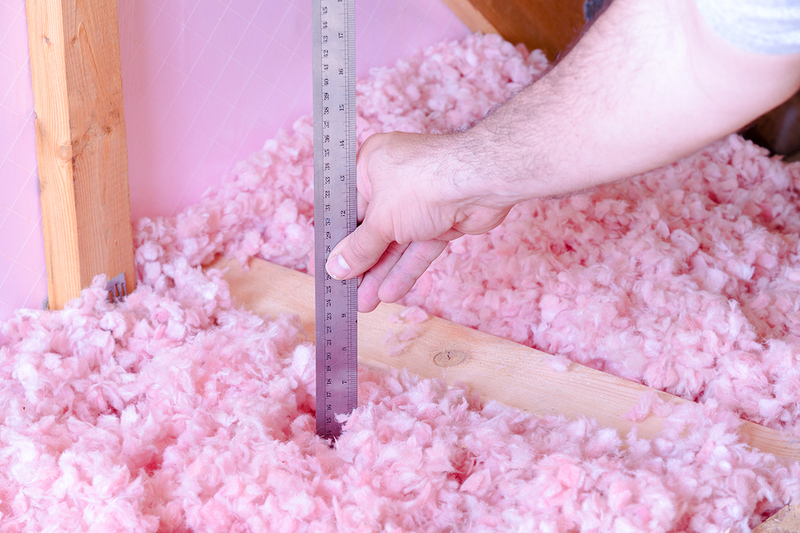 Almost every home could benefit from additional insulation. Unless you recently had new material installed, it’s a safe bet that beefing it up would help reduce thermal transfer even more. And if your crawlspace or basement has no insulation, correcting that situation would give you warmer floors and fewer cold drafts wicking up indoors. Old windows and doors don’t necessarily require replacement, especially in a very old or historic home. But because they can be major points of drafts, heat loss in cold weather and heat gain in summer, older windows and doors do need attention. Caulk is an inexpensive and effective way to seal drafts, says the Commonwealth of Massachusetts. Add insulating storm windows and doors, and you’ll have another measure of protection against the temperature fluctuations outside. Perhaps the best way to help lower heating and cooling bills is to get a home energy assessment. Mass Save says that in about 2 hours, an energy specialist will evaluate your home for areas that make it less efficient. That information shows where you need to focus repair and improvement attention. To make energy efficient improvements more affordable, the Commonwealth offers several rebates and incentives. Get up to $2,000 back on insulation, targets air sealing for free, heating, cooling and water heating appliance rebates, and there’s also a 0 percent financing program for some residents. 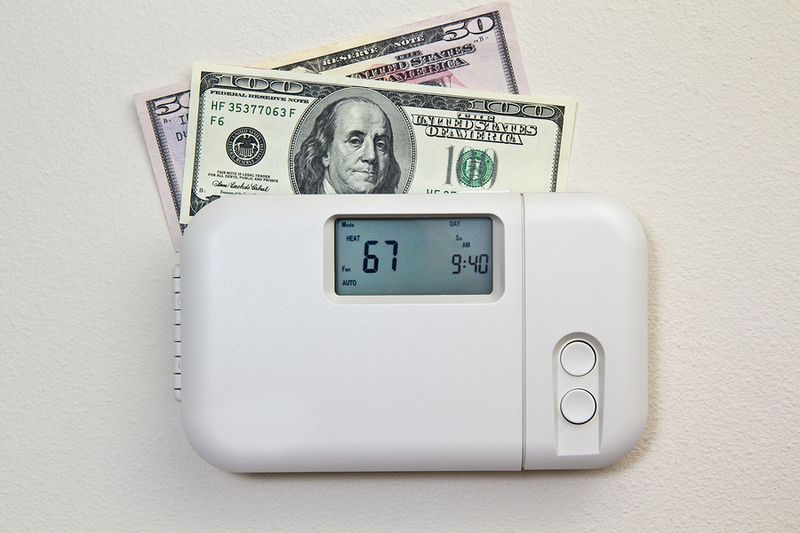 You don’t need set the thermostat too high or too low and compensate with clothing to save a little money. Work at improving your home’s heat loss and gain issues, and your heating and cooling equipment will work less to keep your home comfortable. The professionals at Rodenhiser Plumbing, Heating, A/C and Electric can work with you to improve energy efficiency. Contact us today to schedule an appointment or to learn more. Geothermal Heat Pump: Is This Option Right for You? The U.S. Department of Energy (DoE) and the Environmental Protection Agency (EPA) consider a geothermal heat pump (GHP) the most energy efficient form of heating and cooling available. GHPs achieve such efficiency by exchanging heat underground or with a body of water, and other than the electricity to run them, they use no other energy source. Their advantages may help you decide if this system is right for your home and family.